VEN connects the dots between technologies used by business in order to create efficiency and a happy workforce. Our customer portal, Vip, allows your teams to initiate new office deployments in a single submission, then go on to monitor all related services through a single pane of glass. Every day, we connect people, companies and communities with powerful technology, enabling the convenience of mobile services when and where our customers want it. Verizon Wireless. Village Networks is an established supplier of wireless broadband highspeed internet connections for residents of rural areas and notspots. It's not just technology that interests us - we know what really matters is how it can improve the lives of everyone. 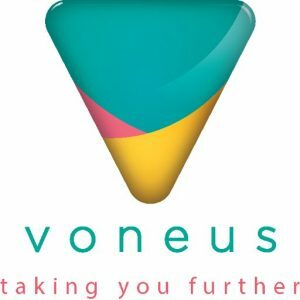 We Are Voneus. We pride ourselves on our innovation and customer service to bring cutting edge broadband solutions to the people that need it most.We work with local communities in rural and metro areas to bring them the broadband that they need, consulting with community groups to find the best and most affordable solution. With identity theft and network security becoming an increasingly urgent concern for businesses, knowing how to structure your network to help combat Phishing, Spyware, Malware and Distributed Denial of Service attacks is vital. By deploying a secure managed network utilising the latest technologies, Vostron can help to ensure that your business is safe from threats outside as well as inside. Wave Internet are passionate about supplying reliable internet connectivity to our customers- specialising in reaching the areas left behind by other providers. WebMate are premium Mac-specialist ISP offering a full range of internet services to Mac businesses and residential customers with a focus of reliability, security and award-winning customer and technical support. Wessex Internet(WI) is an award winning rural Fibre and Wireless ISP operating in the South West. Currently the network is in Dorset, south Wiltshire, Somerset and Hampshire. 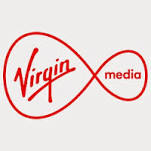 The network includes the provision of high-speed broadband and voice services to business and residential users. Wessex Internet supports over 2000 customers with 2500+ devices, 110 masts and has laid over 350kms of private fibre - and is growing fast. WiFi and FTTP provider for Central London and clients requiring boutique connectivity solutions. Founded in 2007, Wifinity has become a trusted and established Internet service provider supplying the Defence, Leisure, Retail & Education sectors. Wifinity maintains a market lead by using the latest technology to deliver a fast and reliable service tailored specifically for your unique needs. Wildcard Networks, based in Newcastle upon Tyne, focus on the delivery of internet access and services. As well as delivering services using traditional means, Wildcard specialises in alternative access methods such as wireless and our own fibre infrastructure. Wildcard has recently been awarded Code Powers to further our roll-out of fibre services to areas currently underserved. Everything we do at Wirehive is to help forward thinking businesses transform the way the world operates. We work in partnership with our clients, using our deep technical expertise and digital industry understanding to help them solve the technology challenges that come from operating in a digital age. Xantaro, design, build & maintain, secure high-performance networks. Our 3 key pillars of technology solutions are: visibility, automation & defence. Being the single point of contact towards numerous international technology leaders, Xantaro supports its customers locally in the sustained development of business-critical networks and high-performance services, across technological and corporate boundaries. The long-lasting experience and the multilateral know-how of its in-house technology experts is concentrated by Xantaro into the core competence of “Service Integration”: Through useful combination of existing and/or new network components and technologies within an end-to-end services portfolio, tailored solutions are evolved.